I CAN’T for the life of me understand Chelsea’s decision to sell Nemanja Matic – to a title rival, no less. And, according to a mass of comments on social media – from former players and fans alike – neither can they. After his man of the match performance against West Ham, hundreds took to twitter to ‘thank’ Chelsea for giving them Matic. Another big mistake by Antonio Conte. Why would you get rid of last season’s players’ player of the year. Doesn’t make sense. One comment for a fan, after Chelsea’s opening day defeat to Burnley, suggested Matic was just the man to protect their dodgy defence. Too late now. Now the Serb is doing just that for Manchester United and, despite Romelu Lukaku hitting the ground running at Old Trafford with two goals, Matic was named man of the match. Former Chelsea boss Jose Mourinho knew what he was getting from a player he has coached before. And he has not been disappointed. Matic is a class act and will be a United regular for years to come. 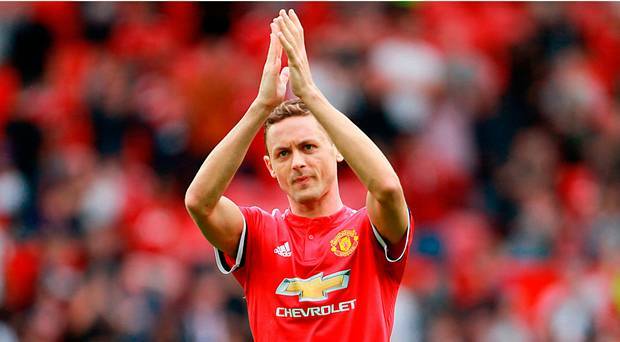 Reflecting on his decision to buy Matic, originally, Mourinho – as quoted on the BBC Sport website http://www.bbc.co.uk/sport/football/40918007 – said he knew he signed a diamond. And he could hardly believe his luck when he was able to sign him for a second time. He looks a perfect fit at United. “The only thing I know is that I brought him to Stamford Bridge because I thought he was a player with special qualities and since I left I always thought he could be a perfect player for us,” said the United boss.